Spring break costs really add up when you consider flights, meals, and a place to crash. One of the best ways to beat those costs is to pack up your car & get on the road. There are many places your road trip could take you but I recommend going to Utah. I know you are probably thinking WTF why Utah?? 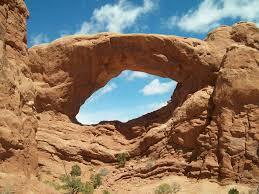 First of all Utah has 5 well known national parks, known as the “Mighty 5”. Second it is a great place to set up a camp site to save a lot of money on hotels. Third the drive, although 19-23 hours, has many mountain views & passes through some great cities like Denver, Co. There are many guides out there that help you plan the best road trip to Utah such as 5 Utah National Parks in 5 Days. However, I would like to inform you some tips to make sure everything goes smoothly. Plan out your days, but leave room for unexpected adventures. This can be done by deciding when you will leaving and when you want to return to Madison. You then should decide how much driving you would like to do before stoping for the night or if you would like to drive straight through. Only pack the essentials (including the amount of people you bring). I know you may think more the merrier, but make sure to have one less person then your car can hold. Also you can save space by sharing anything possible like shampoo/conditioner, and buying compacted snacks.